There are two problems to consider when design panel: one is how to place the boards; and the other is the way of connection. Panel can increase productivity and save on production costs; the first thing to consider in panel design is how to place small plates together to make a lager board. 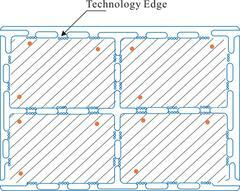 It is recommended that the basis of panel design is when the final size is close to the ideal size. When PCB board’s long side length ≥ 125mm, the boards can be placed as Figure 1.1 shows. The perfect number of boards is achieved when the final size is consistent with as (Figure1.2.1) requires. The stiffness of this placement is beneficial for the wave-soldering. Figure 1.1(a) is a typical panel, and Figure 1.1(b) is suitable for the situation that the rounded corners required after the separation of daughter boards. When PCB board’s long side length &lt; 125mm, the boards can be placed as Figure 1.2 shows. 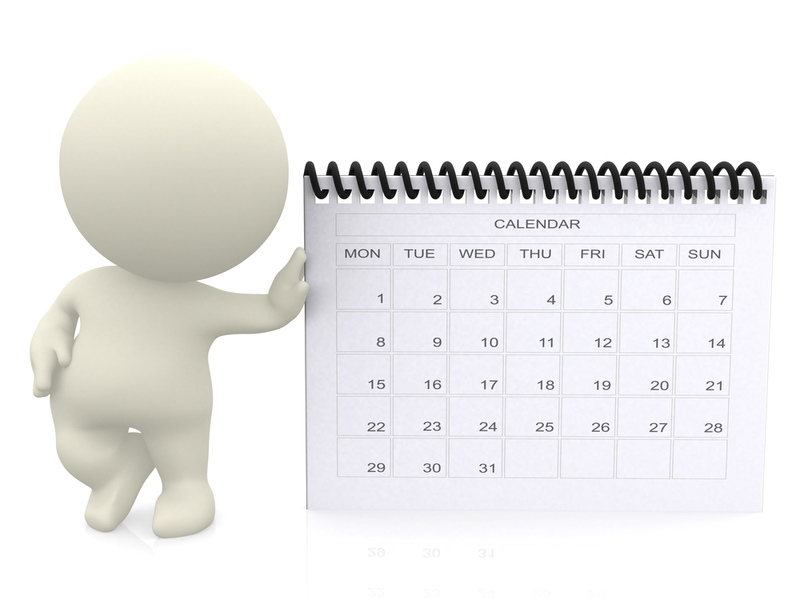 The perfect number of boards is achieved when the final board length is consistent with as Figure1.2.1 requires. 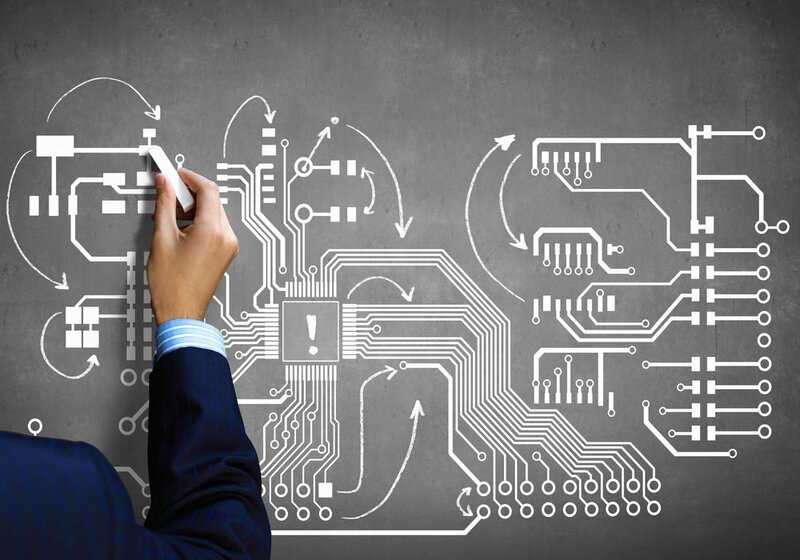 When this method is used, the rigidity of boards should be concerned. 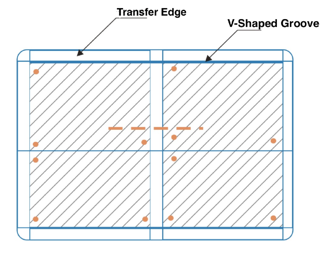 Figure 1.2 (a) is a typical V - shaped groove separated panel, there are three perpendicular craft edges to the PCB transfer direction with double-sided deposited copper foil, to enhance the stiffness. 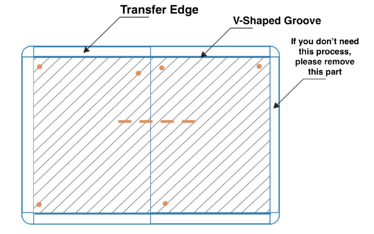 Figure 1.2 (b) is suitable for the situation that the rounded corners required after the separation of daughter boards, and the joint stiffness of separated sides paralleled to the PCB transfer direction should be concerned. Pay attention to the connection between panel and panel, and try to keep each separated connection in a line, as 1.3 shows. 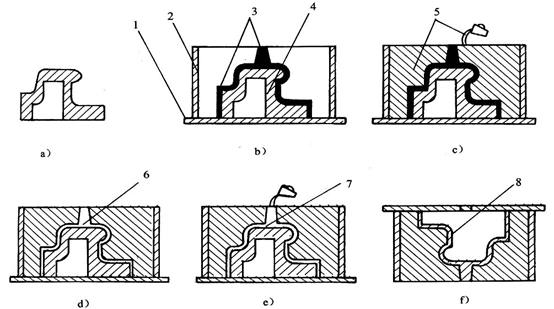 There are two main connection methods for panel: Double face carved V-shaped groove (V-CUT), and the long slot plus a small circular hole (commonly known as stamp hole), depending on the shape of the PCB. 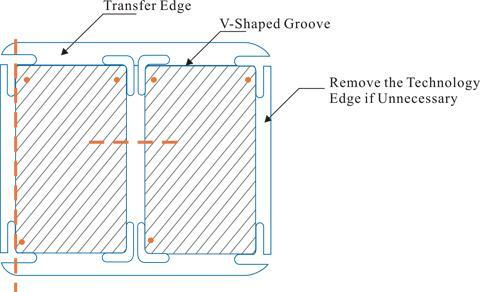 When it is straight-lined connection between plate and plate, the plate margin is neat and does not affect devices installation; the V-CUT method can be used. V-CUT is a through type, and cannot turn in the middle. 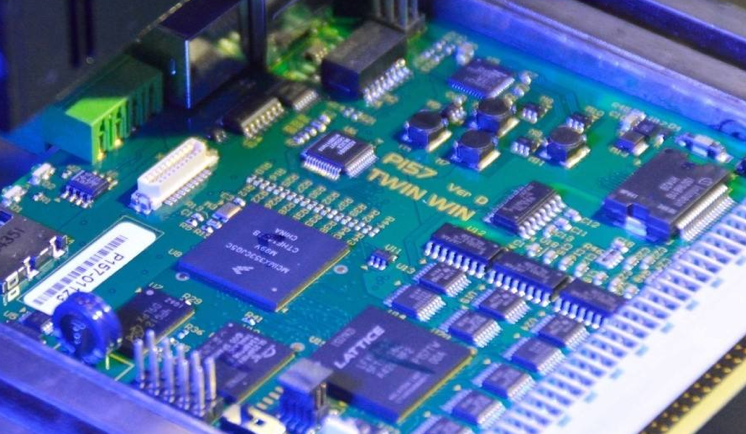 Currently SMT Board is widely used, characterized with neat and level edges after separation and low processing costs, which is recommended as priority. a) The two sides of V-CUT line (A side and B side) require a no device and no wire area that is not smaller than 1mm, to avoid the damage to devices and wires when separating. b) After cutting the V-shaped groove, the remaining thickness X should be 1/4 to 1/3 of the board thickness Y, which is not smaller than 0.4mm. Board bears heavier can take upper limit, and vice versa. 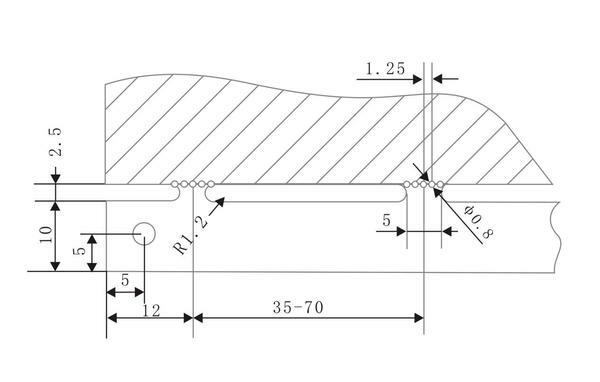 The misalignment of the upper and lower sides cut S of V-shaped groove must be less than 0.1mm. The design requires being consistent with Figure 2.1. The connection method of long slot plus a small circular hole, also known as stamp hole method, is suitable for any shapes of daughter boards. As the margin area is not neat and level after separation, it is not recommended for those PCB with fixed conduit ferrule. 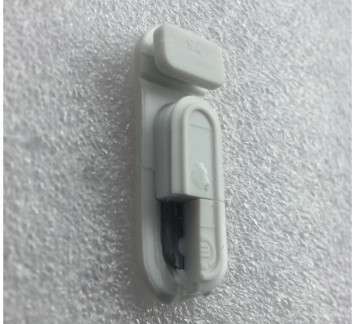 Requirements for the long slot plus a small circular hole method: The width of long slot is usually between 1.6mm and 3.0mm, and the length is about 25mm to 80mm, the connection bridge between slot and slot is generally 5mm to 7mm, with several small circular holes placed, and the diameter Ф of these holes is 0.8mm ～1 mm, the distance from the center of the aperture to the outside is 0.4mm – 0.5mm: Thicker boards take smaller value and thinner boards take larger value, it is a typical value in Figure 2.2. 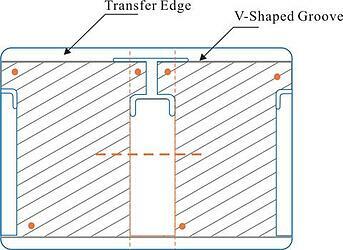 The length of the cutting groove is based on the PCB routing directions, assembly process, and the size of PCB. The smaller the aperture, the neater the margin area. 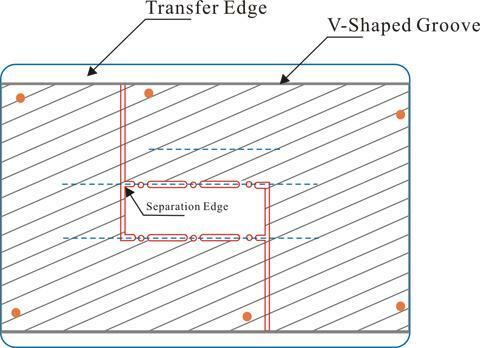 When design connection bridge, it is mainly to consider: whether the margin area after separation is neat or not; whether it is convenient to separate or not; is the stiffness enough for production; the material, thickness and total weight of single plate; the distance between connection bridges (the recommended distance is 60mm). In order to make the margin area neat after separation, the separating holes are usually placed on the sidelines or slightly within the daughter board.